Alphabetically arranged: 75 articles on individual concepts for easy lookup on the job, while studying, or during an open-book exam. 1-page Summaries: articles typically begin with a 1-page summary of 5 Keys to Understanding. Unique types of Graphics that Teach, including: Concept Flow Diagrams, like the one below, Compare and Contrast Tables, and even Cartoons. Visual enhancement of text: Extensive use of short paragraphs, numbered items, bullets, bordered text boxes, bolding, and underlining. 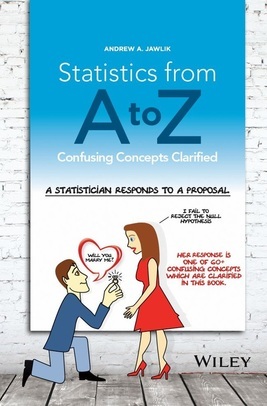 Statistical terms (e.g. Standard Deviation) are capitalized. Wider Scope: Statistics I and Statistics 2, and Six Sigma Black Belt; includes statistical concepts for process quality and efficiency.